"My work is planned as a visual story of a specific subject attained through a series of compositions. Most of my work is accomplished through observation of my subject. 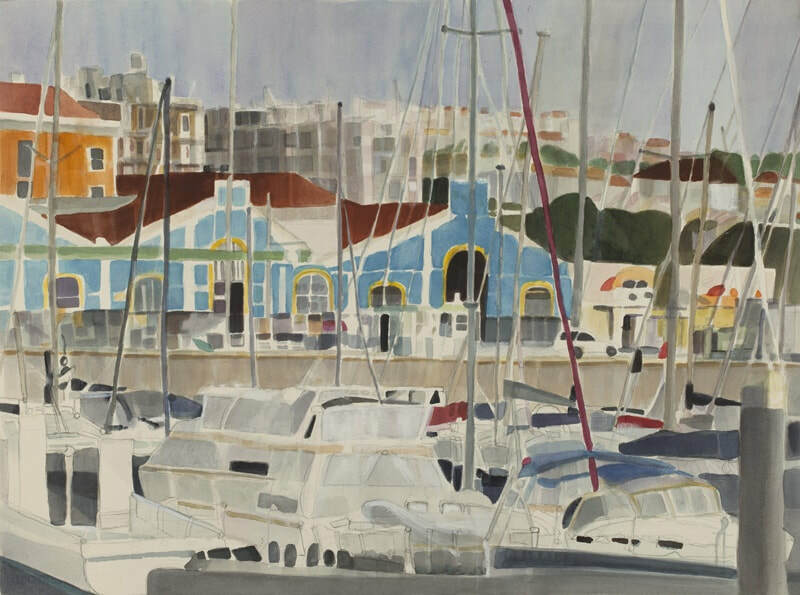 Referring back to preliminary studies, I develop my final composition in watercolor, drawing from life and memory. My subjects are portrayed through figurative pieces whether they are human or animal. I incorporate the design into my wildlife pieces as you see in my cityscapes. Color and design plays an important part throughout my work." Angela Barbalace has won various national and international awards with different disciplines in the art field. 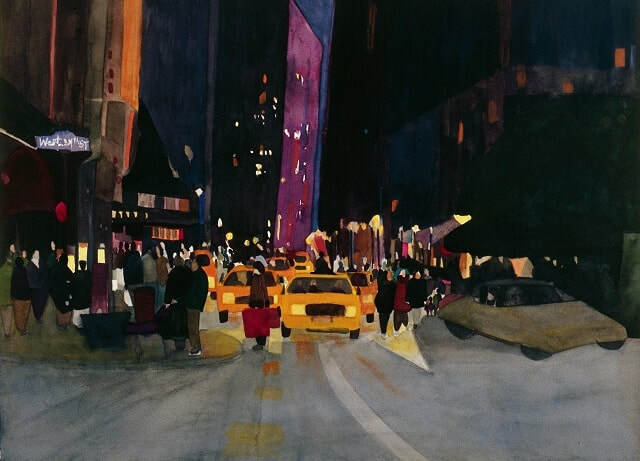 Her work has appeared in many juried exhibits, including the NJ State Museum, Trenton City Museum, Woodmere Art Museum, Noyes Museum, Catherine Lorillard Wolfe Annual, 6th Annual Beckett Sports Art Publishing Exhibit, Phillips Mill, National Arts Club, American Watercolor Society Annual, National Watercolor Society, Society of Illustrators, Casein and Acrylic International Painter Society and ArtReach National Congress of Art and Design Exhibit. 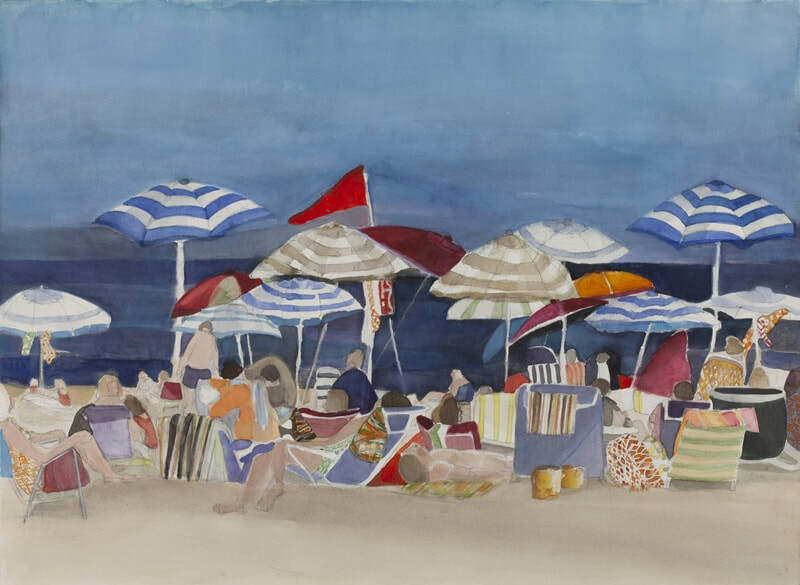 She is a signature member of the Philadelphia Watercolor Society, Garden State Watercolor Society, National Watercolor Society and the American Watercolor Society. Columnist for the magazine Watercolor Artist. She was invited as part of the graphics community to exhibit at the Society of Illustrators for the memorial exhibit Prevailing Human Spirit in response to the September 11th events. She was also included in the Society of Illustrators 51st Annual "book division". She was one of the thirty artist selected for the Art Students League of New York 30/30 Exhibit and has also won many best achievement awards and honorable mention with the League. Angela has received her MFA from Syracuse University. Won the Award for Excellence for the U.S.A for my painting "Laundry Day"
Illustration for the published book "Timeless Rosary"
Currently working on three children books and teaching an art workshop book.